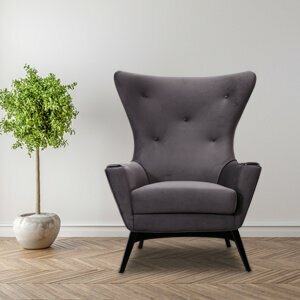 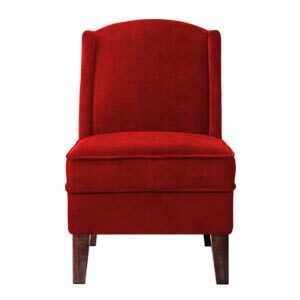 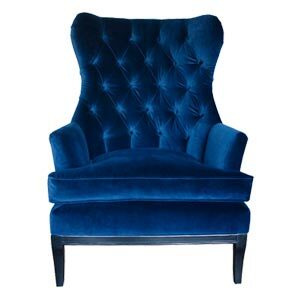 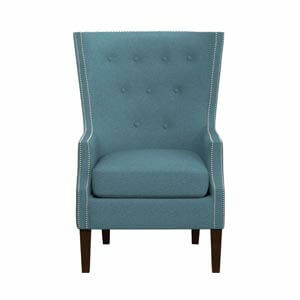 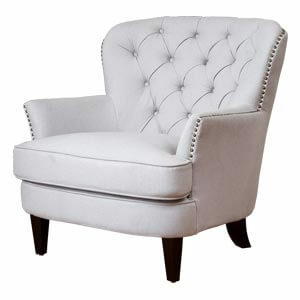 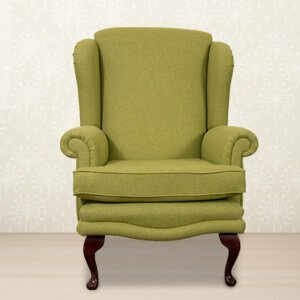 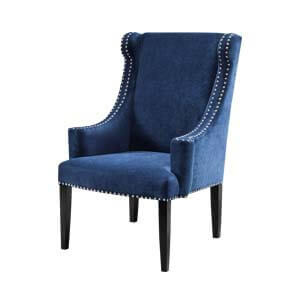 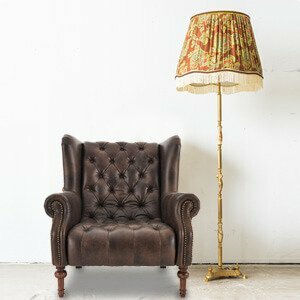 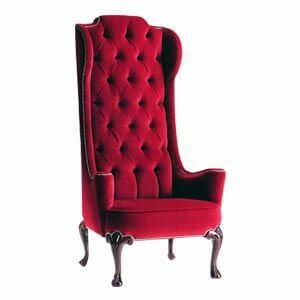 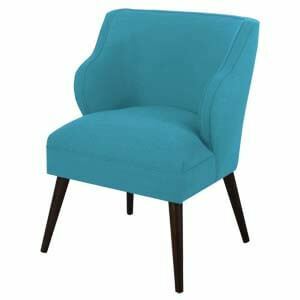 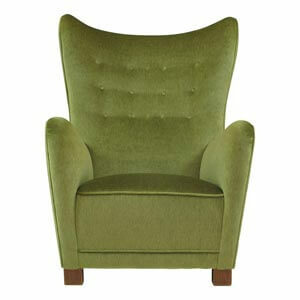 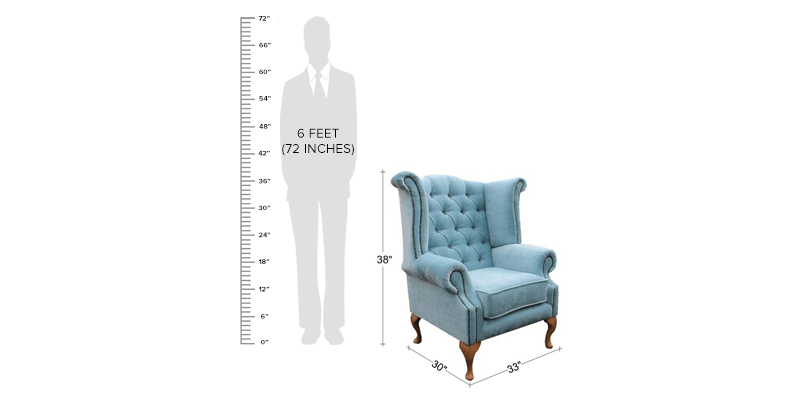 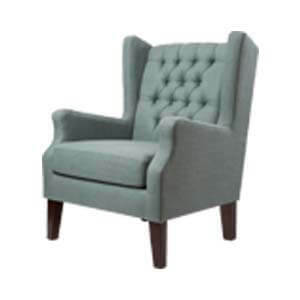 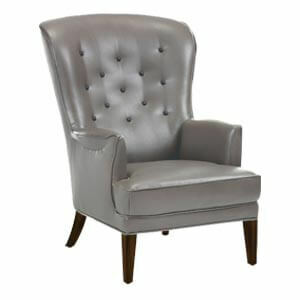 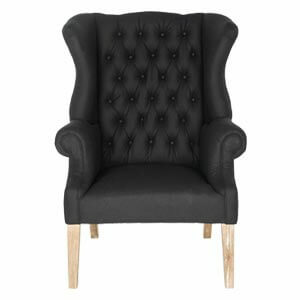 Introduce class and exclusivity with this stylish classic high back wing chair. 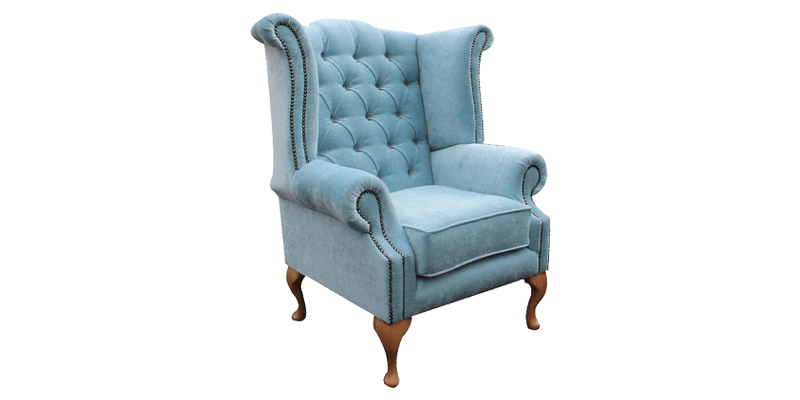 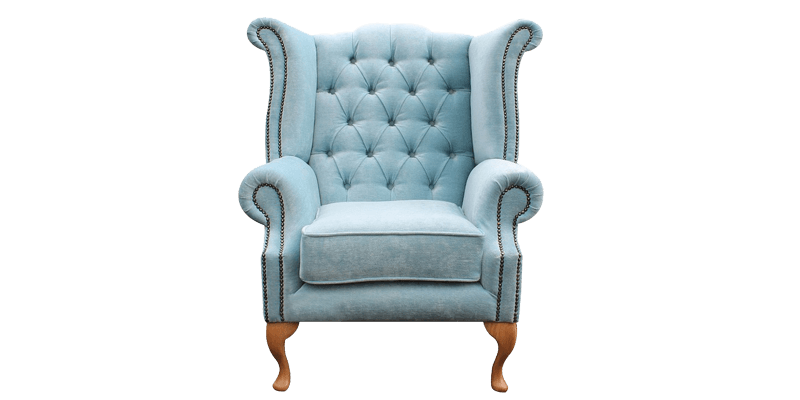 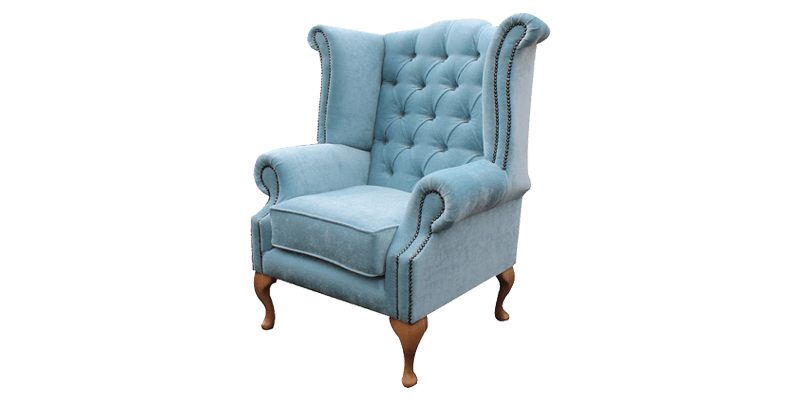 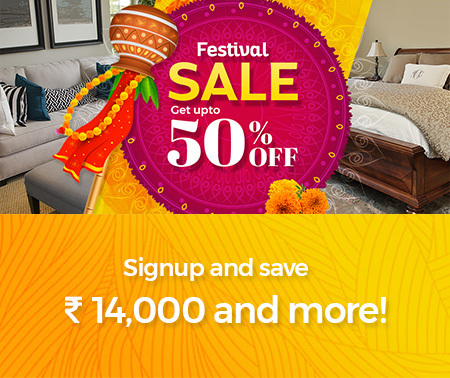 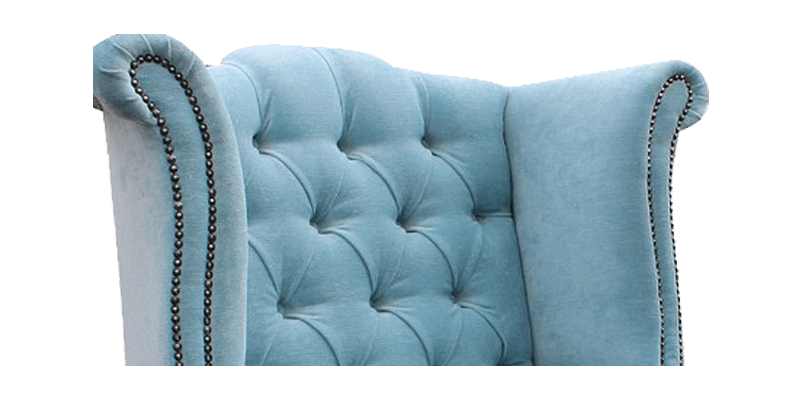 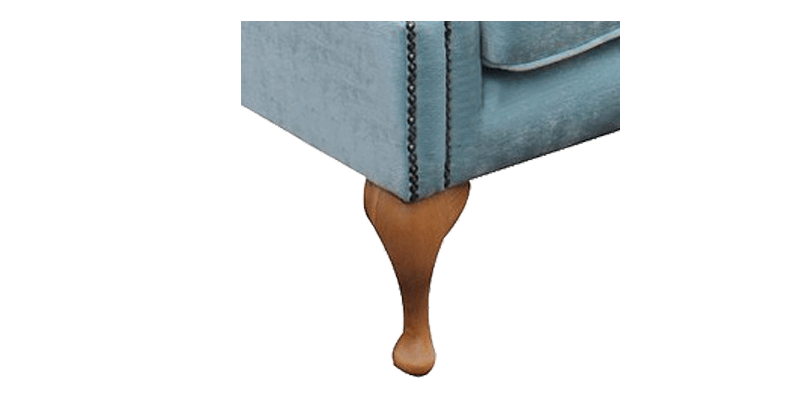 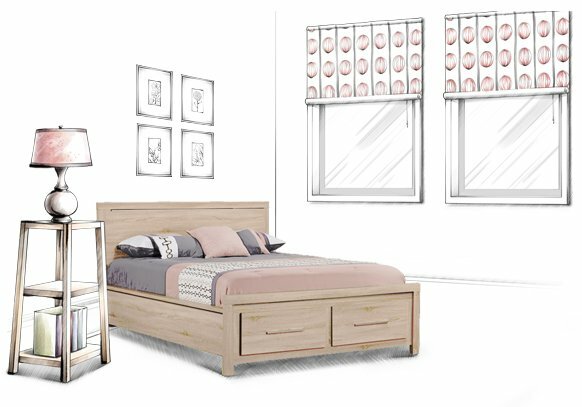 The Chesterfield-esque design features a tufted high back with curvilinear wings and arms decorated with nailhead trims defining its classic silhouette in sky blue colour. 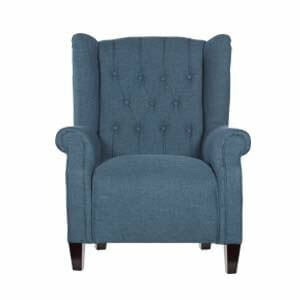 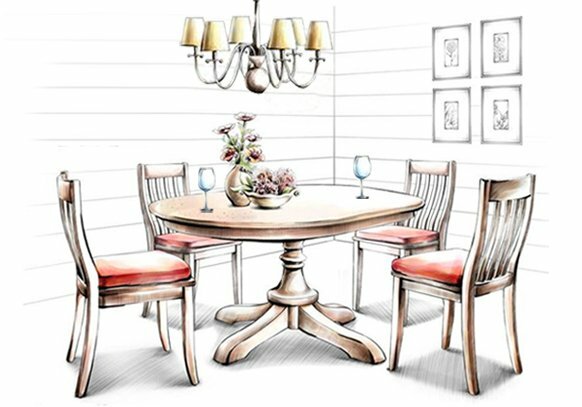 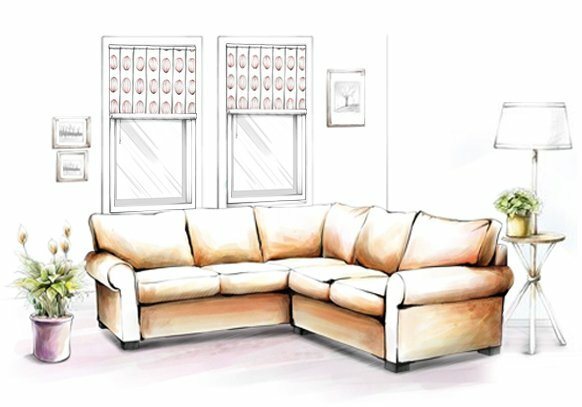 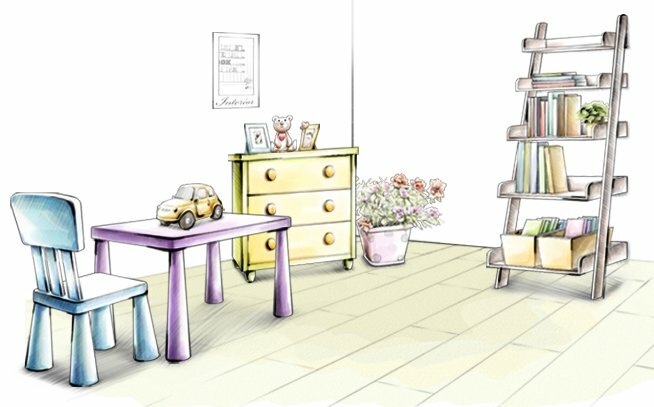 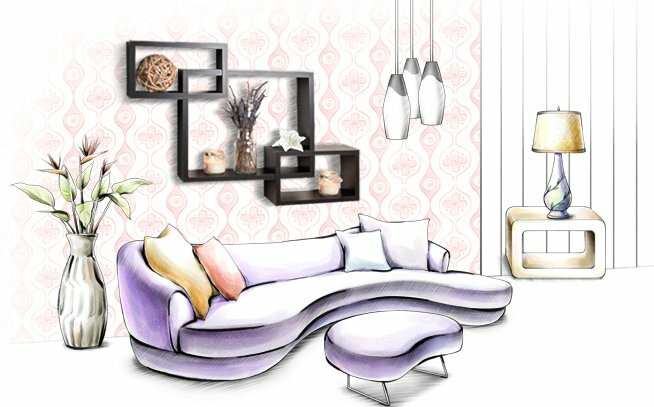 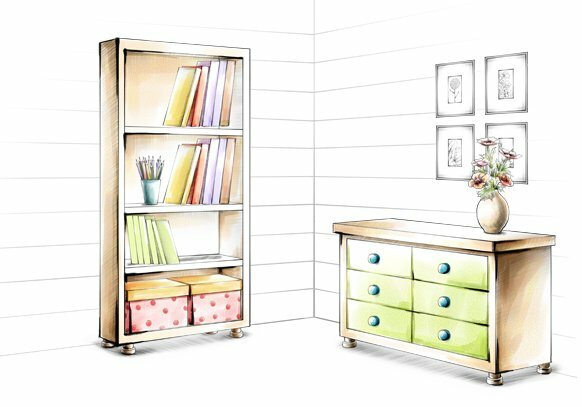 A generously foam padded body and sumptuous cushioned seat offer a wonderful seating experience.